An apology letter is a formal letter written by a business to its clients or customers. 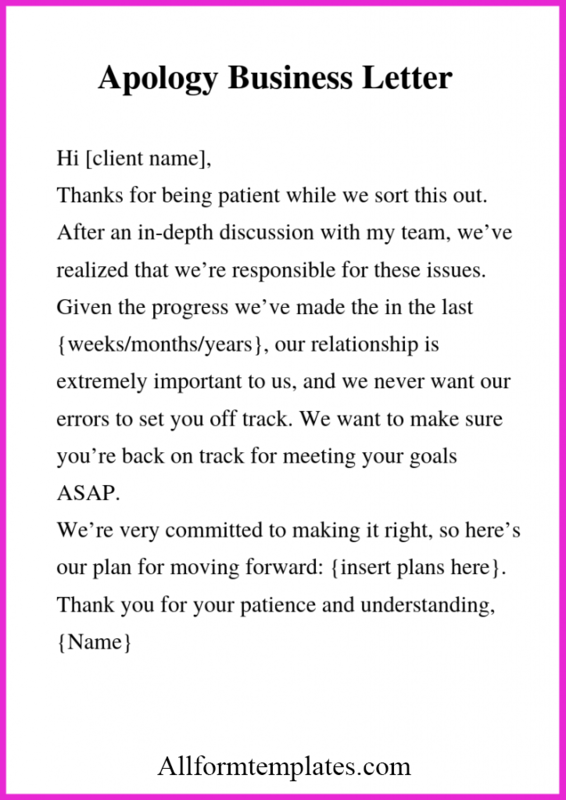 So here we are providing you with apology business letter templates in PDF format. It is written when a customer is dissatisfied with your product or service. In case such a situation arises, it is good etiquette to write an apology letter and own up to your mistakes. Since there might be different situations for which an apology letter needs to be written, there are different styles of writing an apology letter. Here we shall be providing you with some useful tips regarding how to write a business letter and also provide you with some useful templates. If your employee has made a mistake, then you should apologize on their behalf. The best way to apologize is to write a letter since it is the most effective and formal way of expressing your concern to your customers. Here are a few samples of apology letter which you can access for free. In the daily functioning of a business, there might be various situations where there might be a miscommunication between you and your client. And as a result, the client might have to suffer a bad experience or incur losses. So you can clear out things by writing an apology letter for the misunderstanding on your behalf. It will help you clearly explain the reason for miscommunication and how you can clear it out. 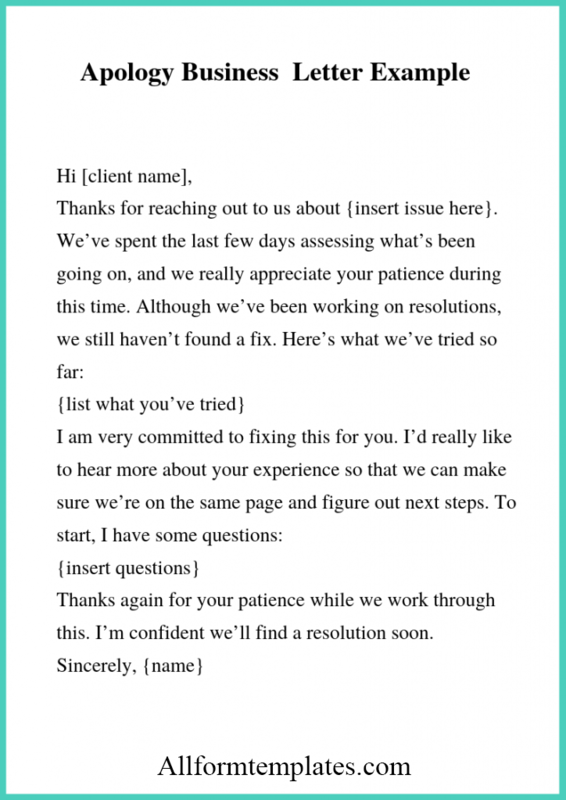 So for your reference, we are providing you here with an apology letter for miscommunication template which you can download and print. The best way to start an apology letter is to start by writing “I apologize” or “I’m sorry”. Don’t hesitate to say you are sorry – you must not start by using the phrase “I’m sorry but…” Use the phrase “I’m sorry”. Own your mistake: by admitting your mistake, you are proving to the customer that you are willing to take responsibility for your actions. Clear any misunderstandings: it is important for you to explain to the customer that you are concerned for them and want to solve their issues. Make a Plan: Prepare a plan in mind as to how you intend to solve the wronged person’s issue and make it clear to them in the letter. 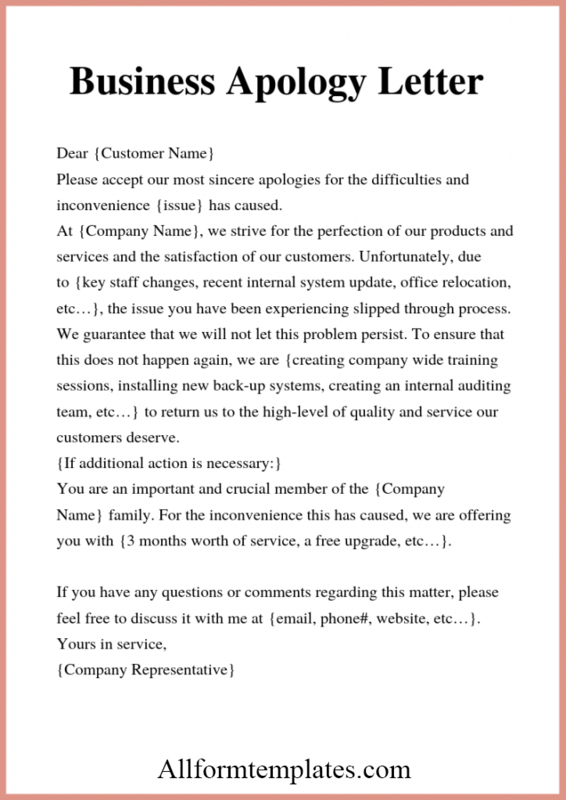 Here for your reference, we are providing you here with an apology letter for miscommunication template which you can download and print.